Are you running a Louisiana auto title company? If yes, then it’s worth noting that you need to renew your license and bond by May 31 this year. Make sure you complete the bond renewal process in time, so that you can keep your right to operate legally in the state. Let’s see the details about the renewal. Renew your bond today! 100% money-back guarantee! The Louisiana Department of Public Safety regulates the work of auto title companies in the state. Every licensed operator needs to comply with the rules set forth by it. For this purpose, they have a contract with the Department that runs from June 1st of each year to May 31st of the next one. Renewing your title agency license means that you continue your contract with the state authority. This should be done at least sixty days before the end date of your contract. In case you miss this deadline, you need to go through the licensing process from scratch. Together with the renewal, you need to pay the annual license fee of $200 for your first location, and $50 for each additional location. 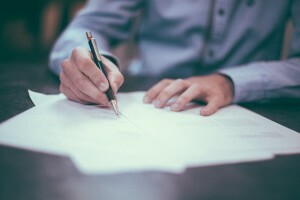 You need to meet all the licensing criteria when you are renewing the license, which means that you need to also renew your title agency bond. In order to get licensed as a Louisiana auto title company, obtaining a title agency bond is an indispensable requirement. When renewing your license, the same bonding needs to be extended for the new licensing period. The bond amount that the Department asks from title agency companies is $100,000 for one location or $125,000 if there are multiple locations. Operators have to pay only a fraction of that amount, which is called the bond premium. It is often only a few percents of it, and you can learn more about how your surety bond cost is formulated here. Ready to start your bond renewal process? Just apply online today for your free bond quote. Lance Surety Bonds’ experts are here to help, so if you have any questions, don’t hesitate to call us at (877) 514-5146.